Dr. Kevin Hale’s directive was to produce a video that pops! for a new website, so Future Media Corporation’s creative team filmed him on a green screen set in Future Media Corporation’s sound stage, and keyed in a map of Michigan, statistics, and animated over three dozen images to make it appear that he was controlling them. He pushed and pulled them, held them and flipped them back into the map. 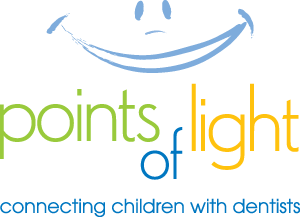 Points of Light’s purpose is to overcome multiple obstacles to bringing infants to a dentist by age one and earlier, to stop the emergence of dental decay.